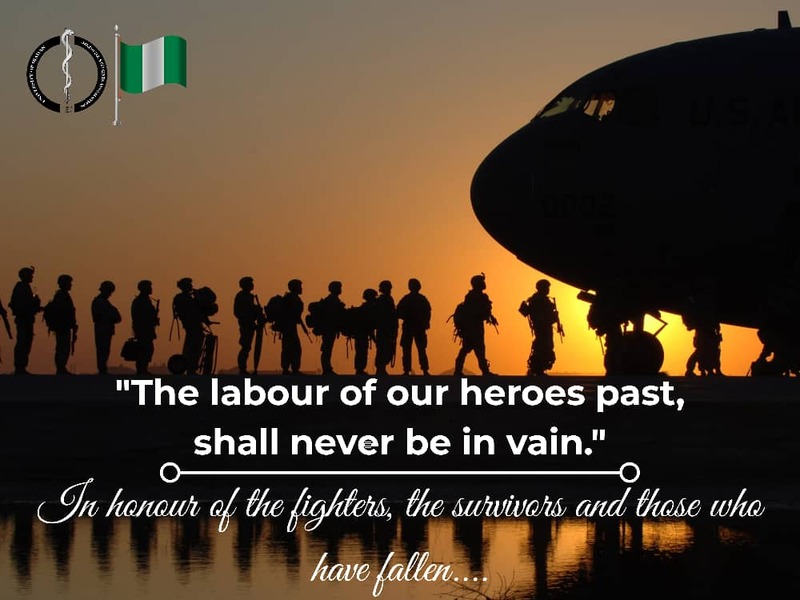 In Nigeria, Armed Forces Day, also known as Remembrance Day, is celebrated on 15 January. 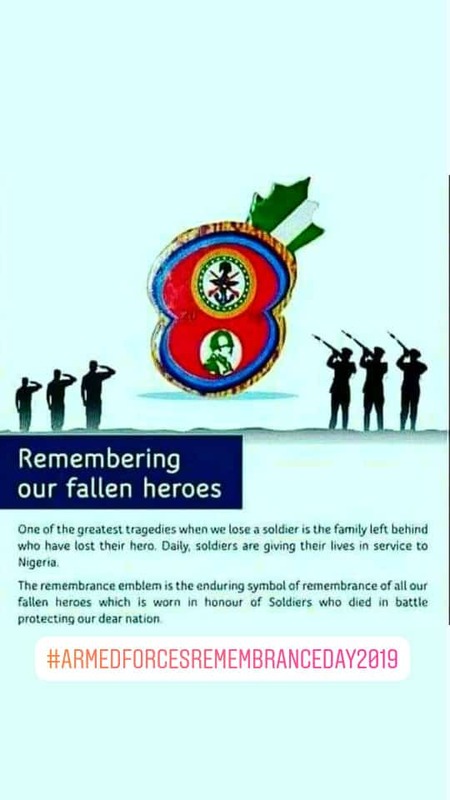 It was formerly marked on 11 November of every year to coincide with the Remembrance Day (Poppy Day) for the World War II veterans in the British Commonwealth of Nations, but it was changed to 15 January of every year in Nigeria in commemoration of the surrender of Biafran troops to the Federal troops on 15 January 1970 thus signalling the end of the Nigerian Civil War. The day is marked with a Remembrance Day parade at the Cenotaph in Abuja and in the 36 state capitals. The ceremony includes 21 gun salute, playing of the Last Post, a minute’s silence, laying of wreaths and release of pigeons to symbolise peace. 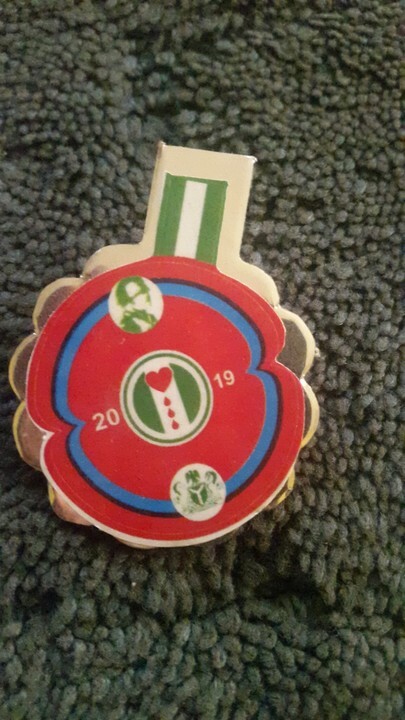 In the past month, Armed Forces Remembrance Day emblems have been on sale across the country. Proceeds of the sale of the remembrance emblem go to the Nigerian Legion. The Nigerian Legion is the Nigerian association of ex-servicemen, i.e. former members of the Nigerian Army, Navy and Air Force. Officers and men of the armed forces are trained to fight and kill. When they retire, they discover that there are no jobs for them (some of them have been in the armed forces since they were teenagers and military work is all they know). Others were forced to retire from the armed forces due to injuries sustained in battle. The Legion helps them to integrate into society and take care of themselves. By law, the Legion is permitted to operate certain businesses in order to raise money for its members. Members of the legion also serve as security guards at government establishments (you often see them in their brown uniforms). The Legion also raises money through the sale of Armed Forces and Remembrance Day emblems. We remember our fallen heroes today and always. 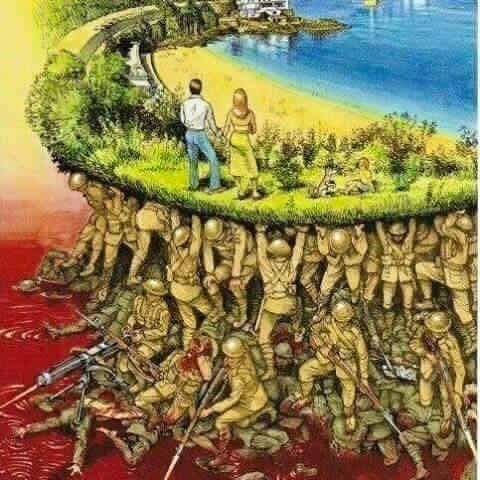 Rest on gallant heroes, for our tomorrow, you give your today. To those who still have their boots on, find courage and strength to continue on this path of greatness through continuous sacrifice. Happy Armed Forces Remembrance Day!